A recent judgment by the CJEU set aside a decision of the General Court annulling an OHIM decision to invalidate a Community trade mark owned by the National Lottery Commission, based on the presumed existence of an earlier copyright. The CJEU remitted the case back to the General Court for a ruling taking into account the right of the parties to a fair trial. After eight years and after passing through the entire gamut of the European Union’s appeal proceedings, the copyright was finally declared non-existent and the trade mark valid. The proof submitted by the applicants for invalidity in support of their claim comprised a photocopy of an agreement dated 16 September 1986 under which a third party, purporting to be the author of the ‘mano portafortuna’, assigned to Giuseppe De Gregorio his rights to reproduce and use that work and to reproduce and use other drawings appended to the agreement. 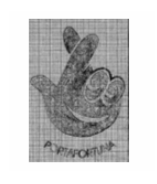 Additionally, some invoices attesting to the printing of 400 t-shirts bearing the ‘mano portafortuna’ in Naples in 1988 were also submitted. The defendants alleged that the agreement confirming the assignment contained certain anomalies: (i) the post office stamp attesting to the date of the agreement was dated 21 September 1986, a Sunday, a day on which the Italian post office does not open; and (ii) the duration of copyright protection provided for under the agreement was 70 years post mortem, whereas under the Italian legislation in force in 1986 copyright lasted for only 50 years. In July 2009, the cancellation division of OHIM granted the application for a declaration that the mark was invalid on the basis of the earlier copyright. 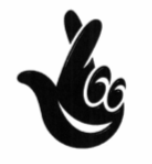 Following an unsuccessful appeal to the OHIM Board of Appeal, The National Lottery Commission brought an action for annulment of the OHIM decision before the General Court. The General Court reached the conclusion that misinterpretation of the national law might have had an effect on the content of the contested decision and that the decision should therefore be annulled. OHIM appealed the annulment to the CJEU, which set aside the judgment and referred the case back to the General Court for a ruling on the merits of the action. This was on the basis that the parties had not had the opportunity to express their views on some of the points of national law raised by the General Court of its own motion. The main issues of the case were whether an earlier copyright existed and whether the OHIM Board of Appeal was competent to appraise the authenticity of the 1986 agreement, the main evidence used to establish copyright. The Court concluded that when Article 53(2)(c) is invoked, it distinguishes clearly between two situations: the situation where the earlier right is protected under Community legislation and the situation where it is protected under national law. In the present case, the applicants for invalidity had to provide evidence that they were entitled to the copyright under Italian law, as well as provide particulars establishing the content of that law. In addition, the Court confirmed that the restriction of the factual basis of the examination by OHIM does not preclude it from taking into consideration, in addition to the facts which have been expressly put forward by the parties to the invalidity proceedings, facts which are well known, that is to say, facts which are likely to be known by anyone or which may be learnt from generally accessible sources. It therefore concluded that the Board of Appeal was right to rely on the rules of Italian law in determining the probative value of the 1986 agreement. The General Court continued by examining whether the Board of Appeal had construed the relevant Italian law correctly in finding that, pursuant to Articles 2702 and 2703 of the Codice civile, the 1986 Agreement constituted conclusive evidence of the provenance of the statements of the parties to that agreement, pending the introduction of proceedings challenging it as a forgery. The underpinning for the General Court’s final conclusion, upholding the first and third pleas of the Gambling Commission, was that the Board of Appeal’s finding that the applicants for the declaration of invalidity had proved the existence of copyright was based on misinterpretation of the Italian law governing the protection of copyright. The General Court could not find that the signatures of the parties to the agreement had been correctly authenticated, because, under Italian law, such authentication would be valid only if it had occurred at the time of signing, in the presence of a notary. In the case at hand, the agreement was signed in the presence of a notary some 22 years after the alleged date of the agreement. Thus, authentication was in direct contradiction with the provisions of the above-mentioned Articles of the Codice civile. Consequently, it concluded that, in finding that the applicants for a declaration of invalidity had shown the existence of an earlier right, the OHIM Board of Appeal based its approach on a misinterpretation of the national law governing its protection and that that error may have had an effect on the content of the contested decision. The contested decision was therefore annulled. This case is particularly interesting because of the collision between two different intellectual property rights – trademarks and copyright – and because of the guidelines in relation to the extent to which national law should be discussed and investigated by the European Union courts. There is no clear line defining the powers of courts to investigate national legislation and case law on their own account. The CJEU has clearly stated that such powers do indeed exist but that there needs to be a balance between those powers and the fundamental right of parties to a fair trial and, in this particular case, the right to be heard.